Disclosure: This post is sponsored by G.H. Cretors. All opinions are 100% my own. One of my favorite parts of the holiday season involves making delicious goodies for the people that I care about. Family, friends, coworkers…you name it. 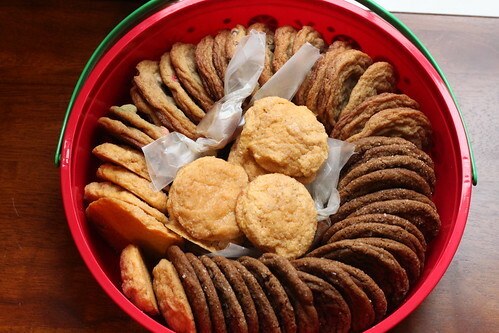 After all is said and done, I typically make 300+ cookies, as well as various other homemade goodies. However, for the first time in years, I decided to not do the grand bake-palooza. One of the biggest time-savers is using pre-made caramel popcorn. One of my favorite pre-made caramel popcorns is G.H. Cretors “Just the Caramel Corn”. The popcorn is still crunchy, the caramel is rich and flavorful, and it’s affordable! Line a rimmed baking sheet with parchment or wax paper. Pour the bag of caramel popcorn onto the lined baking sheet, in one even layer. Pour the M&Ms over the popcorn in one even layer. Drizzle the semi-sweet and white chocolates over the popcorn and M&Ms. 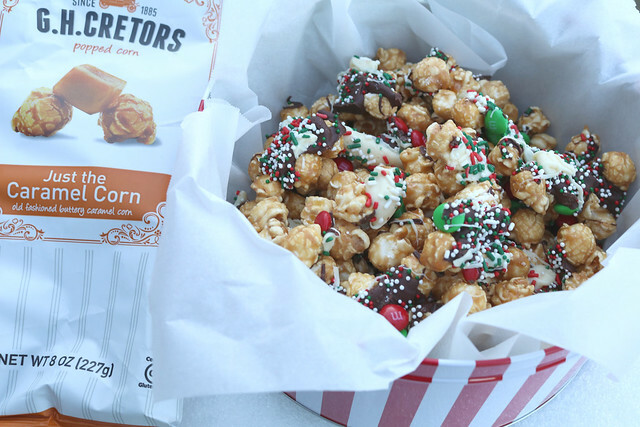 Immediately sprinkle the popcorn mixture with as many sprinkles as you’d like, being careful to finish this step before the chocolate hardens. Wait for the mixture to cool. All About The Turkey (+ GIVEAWAY)! Disclosure: Butterball provided me with a turkey gift check, as well as two other turkey gift checks to giveaway, in exchange for a post. All opinions are 100% my own. You guys. I am the worst! My laptop has been going crazy for a couple of months, and it seems to be on its last leg. 🙁 I have so many recipe ideas to share with y’all, and now that I have a new laptop, I’m excited to be sharing some delicious food (as well as other random talk) just in time for the holiday season! In a couple of short weeks, it’s going to be Thanksgiving. I can’t believe I’m typing that, but it’s so true! Whenever I’m planning out my menu for Thanksgiving, I always plan out the turkey first. How am I going to prepare it? When do I need to thaw it? How much turkey do I need? There’s a lot of thought that goes into the turkey, because it’s essentially the main event for the whole meal. Now for a first-timer, that’s a bit overwhelming. I remember thinking…as long as my turkey doesn’t end up like Catherine’s (from Christmas Vacation). Goals, right? Butterball has been known for years as being the professionals that home cooks turn to when it comes to all things turkey. For years, they have offered their Butterball Turkey Talk-Line services, but now they will be offering something new — week-long 24/7 text help! Yep, you read that right…TEXT HELP. Butterball will be expanding their Butterball Turkey Talk-Line services, by allowing customers for the first time to text in their cooking questions. This will be offered from November 17-24. The service will help customers looking for how-to tips, cooking support and any other turkey questions that customers may have. Text help will be available 24/7 by texting 844-877-3456. How-To Videos – available at Butterball.com or YouTube. Website/Mobile App – Butterball.com and the Butterball Cookbook Plus App contain so much like coupon savings, trusted recipes, how-to videos, and key tips for success, to name a few big features. Social Media – Butterball has presence on Facebook , Twitter , Pinterest and Instagram for tips, special savings, recipe inspiration, some behind-the-scenes looks at Butterball and more! Live Chats – Talk to the turkey experts through Live Chats on Butterball’s website during the months of November and December for real-time suggestions/advice. 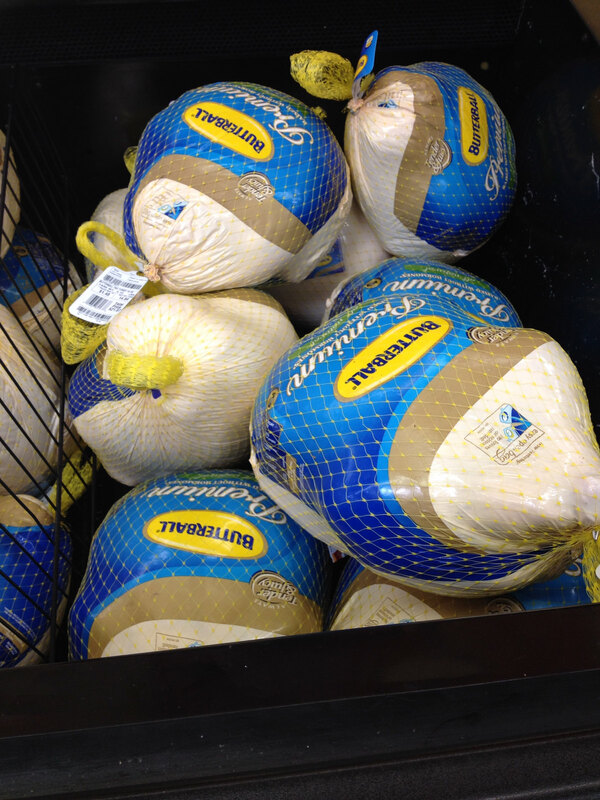 Email – You can always email Butterball here to get helpful tips and tricks conveniently in your inbox. 1-800-BUTTERBALL – As always, you can call the Turkey Talk-Line experts from November 1- December 24 to get help with your Thanksgiving cooking questions. 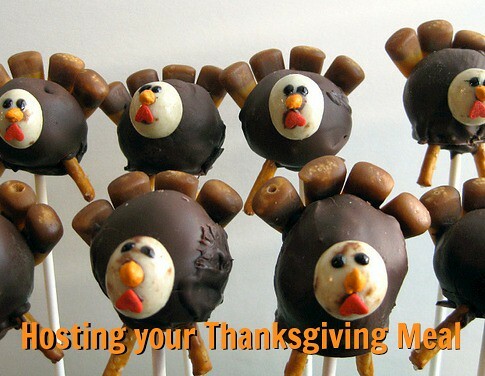 There’s so many wonderful ways to get the help that you will need this Thanksgiving season! The generous folks at Butterball want to offer TWO readers of The Nifty Foodie a turkey gift check! Note: This giveaway is supplied by Butterball, and is open to readers in the continental US only over the age of 18. Entries will be accepted until November 14th, 2016 at 11:59pm (central standard time). Winner will be emailed (make sure you leave an email address in the form), and will have 48 hours to respond or another winner will be chosen. Disclosure: Minted.com is compensating me for writing this post in the form of a credit on their website, in exchange for this post. All opinions are 100% my own. Our usual holiday cards feature Millie, but with the big move about to happen, I thought it would be fun (and hey, pretty darn efficient) to mention our move with our holiday cards. Thankfully, the designers at Minted already have this covered…there’s a whole category of holiday moving announcements on their site! I honestly loved both of these cards, but it was a bit hard to figure out when we would be able to take a picture of us with Millie in front of the house. We would have had to wait until the house was done to get a picture taken, since a dog + a construction site is simply not a good idea. Then, I started to look into non-photo options. There were SO many great cards! It was really hard for us to choose, but after going back and forth with H about it, we decided on the Yule Haul card! Along with the option for many different types of cards, I love that Minted also has a few color choices once you choose the card you like. We went with the cranberry Yule Haul card, which looks fantastic! Once we selected the card we liked, we were able to get a live preview of the card before placing the order, which was helpful. Our new address is a bit on the long side, so the option to alter the font sizes was really great. Also, once we placed our order, we were sent a proof to approve before the card went to print. You pretty much know what your cards will look like before you receive them in the mail. Minted also has a great, new option to make holiday cards even easier: recipient addressing (at no extra charge!). All you have to do is download their excel file template, fill it in with your address book and save it. Then, you upload that table, and then Minted autofills in your addressing information on their envelopes! I think that’s pretty awesome! As far as my experience goes, I was thrilled with the way the cards came out. Granted, I really can’t show them to you all (since they contain my address), but I wanted to show you how much care goes into their packaging. Everything was bubble-wrapped, so there were no bent envelopes or bent corners in the cards. I also appreciated that the quality of the cardstock and envelopes are great. 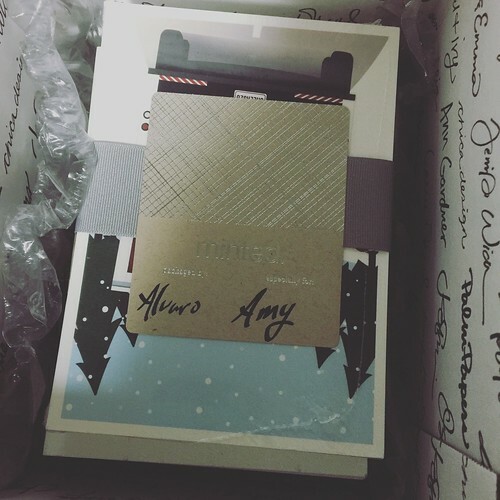 I’ve purchased holiday cards from other companies before, and the cardstock/envelopes from Minted are by far, the best quality. I can’t wait for our friends and family to receive our cards this year. It’s an exciting time for us, and I really feel that these cards are such a fun way to announce the upcoming move! Disclosure: I was sent a sampler of Orchard Choice fig spread, in exchange for a post that included their products, by Valley Fig Growers (made possible by KitchenPLAY). Valley Fig Growers is also providing the giveaway item. All opinions are 100% my own. With Christmas in a couple of short days, I’m sure that quite a few of y’all (myself included) are hosting or going to holiday meals with loved ones. One of the few things I often forget to do is to thank the host/hostess with a small gift. Quite a few people like to bring a bottle of wine or a bouquet of flowers, but I much prefer bringing something food related. It can be anything from a homemade food gift to a fun food product that I think is worth sharing with others. Disclosure: This is a sponsored post on behalf of Dixie Crystals. I received products in exchange for this post. They also supplied the items for the giveaway. All opinions are my own. When I wrap gifts, I like to add a fun little gift on the outside, whether it’s a candy cane, lip gloss or a mini ornament. 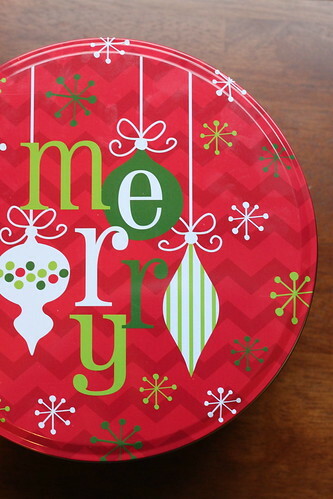 It just adds a little something to the gift, and it’s easy to tie or tape on. This year, these brown sugar lip scrubs are going to be part of our gifts. The chocolate and mint are just a perfect combination for the holidays, and with brown sugar, along with coconut oil, they not only exfoliate, they also moisturize like crazy! Dixie Crystals has so many great homemade sugar scrub recipes, and since I gifted peppermint sugar scrub as a gift last year, I wanted to go with a lip scrub this year. With the winter as crazy cold as it’s been so far (it reached the 20s a couple of weeks ago), this lip scrub is definitely needed. I placed the lip scrub in these mini (food-safe) glass jars that I found at a craft store. 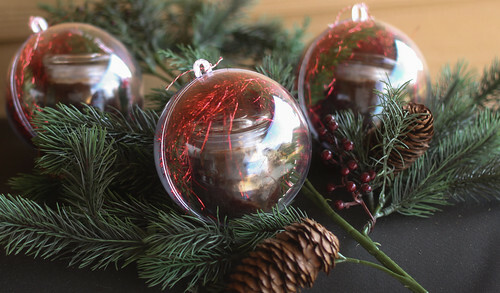 I then placed them in these large, ornament shaped plastic balls that you can pop open, and on the inside, I added thin, red tinsel and this leafy looking pipe cleaner with the lip scrub jar. Festive, right? 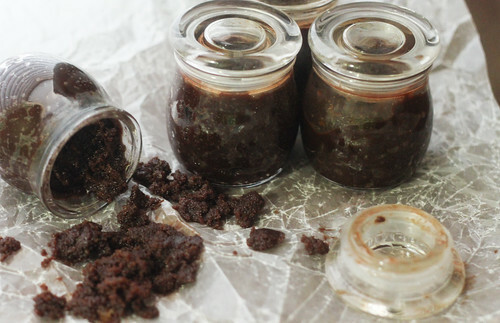 This brown sugar lip scrub couldn’t be easier to make. You just throw the ingredients in a bowl, mix and add to clean, food-safe jars of your choice. Mix all ingredients in a medium-sized bowl, until everything is combined well. 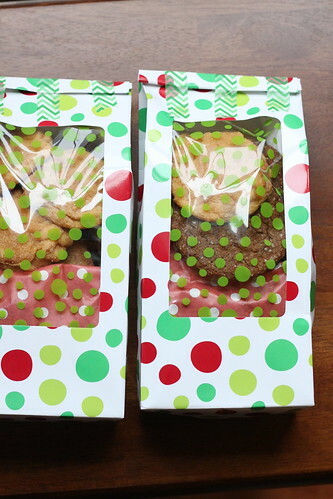 Place in containers, and gift! They keep for 2 months, when kept in a cool, dry place. To use, place a small amount on the lips and gently swirl around in a circular motion for at least a minute. When done, rinse the scrub off in cool water or if you want a sugar-y treat, you can lick this off, too. The generous folks at Dixie Crystals are offering a lucky reader of The Nifty Foodie the ultimate sugar prize package! 🙂 As I’ve mentioned before, I’m a big fan of Dixie Crystals’ products, so this is perfect if you enjoy baking! Note: This giveaway is supplied by Dixie Crystals and is open to readers in the continental US only. Entries will be accepted until December 11th, 2014 at 11:59am (central standard time). Winner will be emailed (make sure you leave an email address in the form), and will have 48 hours to respond or another winner will be chosen. 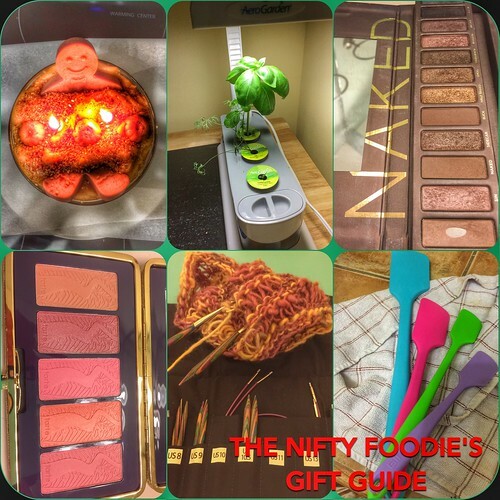 My Ultimate Gift Guide + GIVEAWAY! Disclosure: I was sent an Aerogarden 3SL at no cost to me, for a fair and honest review, by Miracle Gro (through KitchenPLAY). They also supplied me with the giveaway item. All opinions are 100% my own. I’ve been asking my husband almost every day if I can convince him to go in the attic and bring down all of our Christmas decorations. The answer never changes…”Wait until Thanksgiving.” Well, next week is Thanksgiving!! Also…next week is Thanksgiving? Dang! It’s getting to be that point of the year where family/friends are asking me what I want for Christmas. While I can’t really figure things out (besides new plates/bowls in our kitchen…how boring! ), I figured I’d share my favorite things that I’ve been using this year. Maybe this will inspire your wish lists? Who knows…but I figured I would share some of my favorite things with you guys, and also offer a pretty awesome giveaway (at the bottom of this post, if you make it that far…) :-). Hosting your First Thanksgiving & Giveaway! I’ve always been a fan of having big family gatherings for holiday meals. I used to watch my mom, aunts and my grandma flawlessly host Thanksgiving year after year, so when I got married, I thought I would give it a try. I mean, how hard could it be? I’ll never forget that first year. I ran out of counter space, I ran out of oven space, I ran out of time…I mean, there was a meal at the end, but I was a stressed-out mess. I learned quite a few things, and ever since, while there’s always SOMETHING that doesn’t quite go as planned, our holiday meals have been a whole lot better. One of the things I can’t get enough of lately is peppermint + chocolate. I’m obsessed with Chick Fil-A’s peppermint chocolate chip shake, and I’m pretty sure I’ve eaten half a bag of Candy Cane kisses. 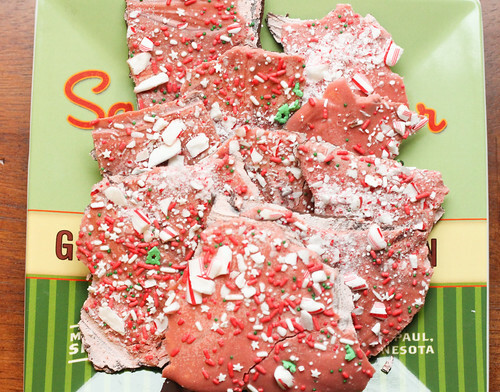 It’s just insane how much I love it, because usually I could give or take peppermint bark. Eggnog is usually my thing. I’m really not sure what’s gotten into me, but I’m not complaining! I originally saw the idea for cake batter bark on How Sweet It Is. 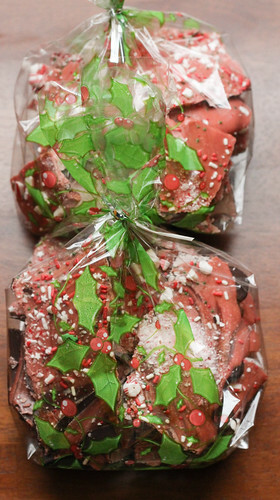 I’ve been wanting to do it with red velvet, and thought that it would be so festive to use red velvet cake mix in peppermint bark. The results were great! One of my coworkers tasted it, and then grabbed 4 pieces haha! It’s also very simple to make, and it makes a good bit! I packaged these in simple printed cello bags, and added Christmas sprinkles with the crushed candy canes for a more Christmas-y touch. Y’all know I’m all about sprinkles! Melt the 1/2 lb. of dark/semi-sweet chocolate in a microwave safe bowl, along with 1/2 tsp. of the canola oil, until melted. You’ll want to do this in 30 second increments at 50% power, being sure to stir well between each microwave cycle. Pour and spread the chocolate, using a spatula, on top of a silicone baking mat or parchment paper. Allow it to set for 15 minutes. Melt the 1/2 lb. of white chocolate with the remaining 1/2 tsp. of canola oil, until melted. Microwave this in 30 second increments as well, at 50% power, being sure to stir well between each microwave cycle. Mix in the dry cake mix, as well as the powdered food coloring (a little at a time until desired color is achieved), until everything is well combined. Pour this over the set dark chocolate and spread the red velvet white chocolate carefully, making sure to cover the dark chocolate. Sprinkle the crushed candy canes and Christmas sprinkles liberally over the red velvet white chocolate. Allow the bark to cool completely before breaking into pieces and serving. At the end of the weekend, this was what we ended up with. The packaging this year was a mish-mash of items from Wal-Mart, Target, Hobby Lobby, Pick Your Plum, TJMaxx & World Market. This year was a year to use up leftover packaging from previous years, so nothing is really uniform. However, it doesn’t really matter to me, because I think it looks really fun sitting together. To divide things up, about a month ago, I made all of the cookie dough and froze it using this method in the post. Then on Friday, we made all of the candy (2 batches of fudge, caramel, elf’s mix & bark)., and on Saturday, we baked up all of the cookies and made the bread. It really wasn’t bad at all, compared to previous years. The biggest time saver is making all of the cookie dough in advance, especially when you’re making 3-4 batches of each cookie dough. These are trays that I made for each of our offices. I purchased these at Wal-Mart for $3, and they come with a lid and a handle. They hold a ton, which is perfect since we wanted to give our coworkers a nice variety of things to enjoy. This is the inside of the tin in the first picture. 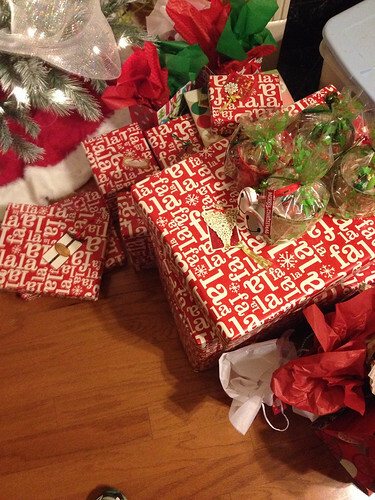 We gave these gifts to neighbors, and they were the perfect size. We squeezed in some fudge, homemade caramels, as well as cookies. 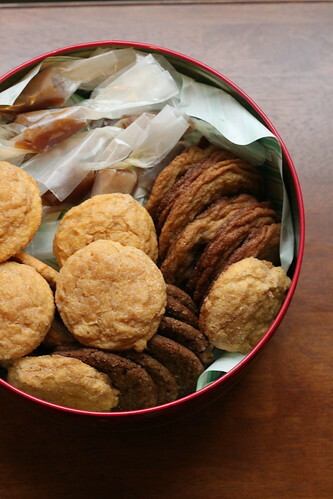 Have you done any holiday baking yet? 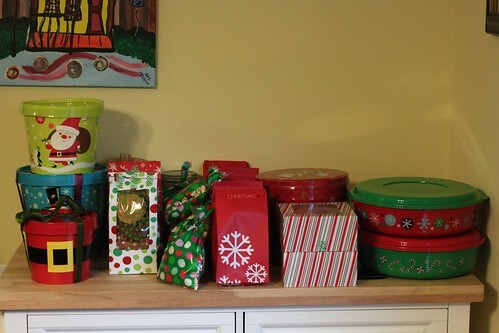 When do you plan on baking for holiday gifting? This week, I was just itching to throw some cupcakes together. Sometimes, I just have to take those old Wilton tips out and go crazy with buttercream. I actually first attempted these with a grass tip, and they just looked so messy. However, a star tip (#21) did the trick. I didn’t take pictures of every step with these cupcakes, because they’re pretty simple to pipe out, and you can easily see where I piped the stars. I started off by thinly frosting (completely cooled) cupcakes with a layer of un-dyed vanilla buttercream (I used this recipe for the buttercream). To make the trees, I started with 5 stars on the bottom, then a row of 4 (between each star in the 5 row), and then 3, 2, 1. For the wreaths, I piped two stars next to each other, and continued in a circle around the whole cupcake. To make the bows, I just used a small round tip (#5) and piped a sideways “8”, and added the edges. The ornaments were made using the same tip, in small, random dots in the gaps of the piped stars. The tree trunks were piped with the same round tip in brown frosting. 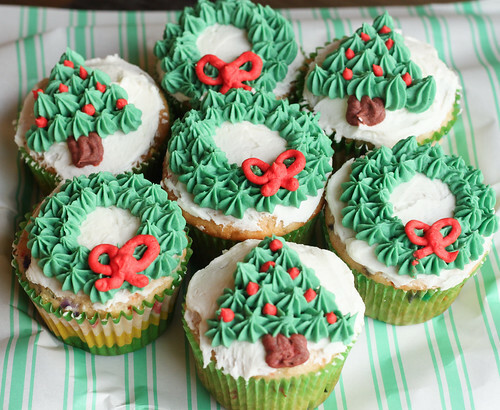 I think these cupcakes would be especially festive with a confetti cupcake recipe, using holiday colored jimmies! Are any of y’all baking this weekend for the holidays? I’d love to hear about what’s baking in your kitchen. 🙂 I’m sure I’ll be tweeting about the flour/confectioner’s sugar clouds in my kitchen.